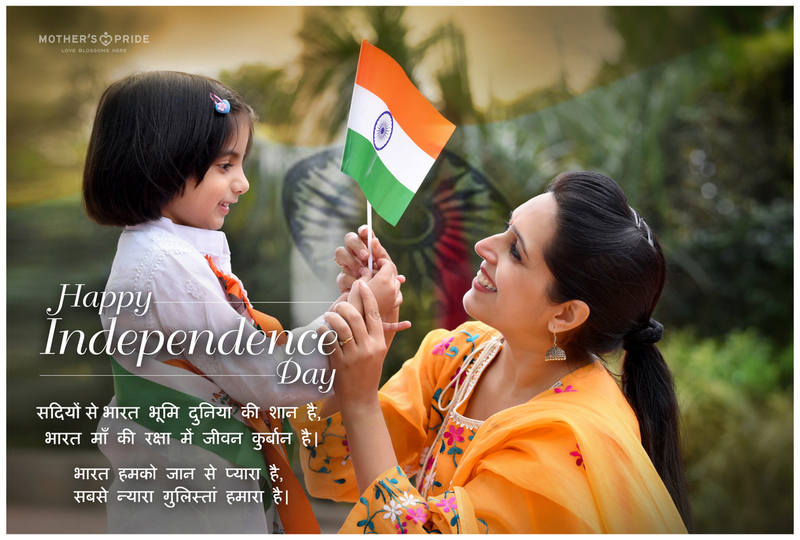 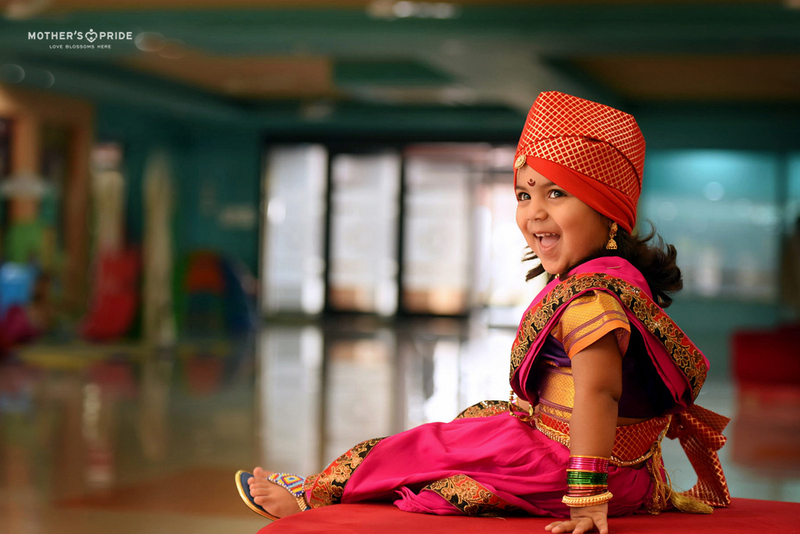 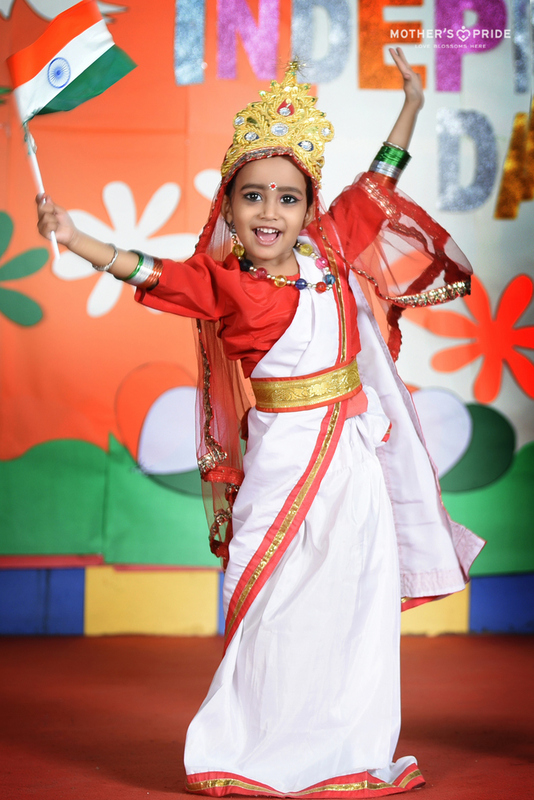 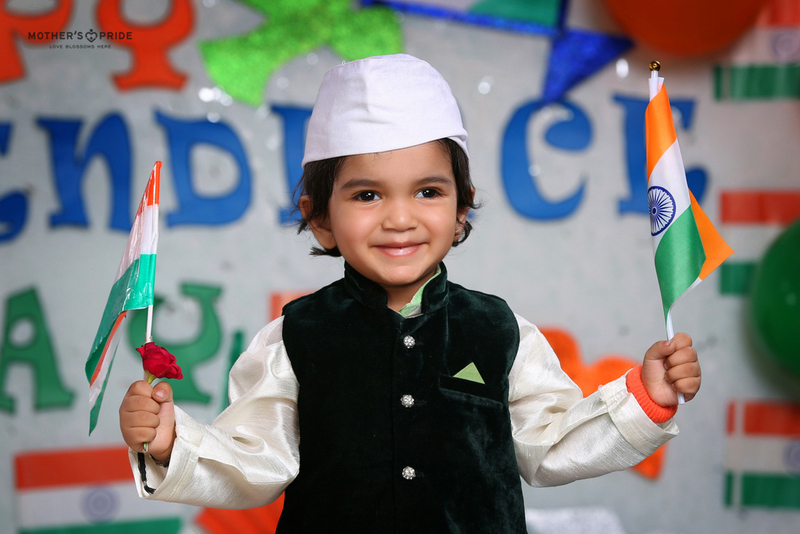 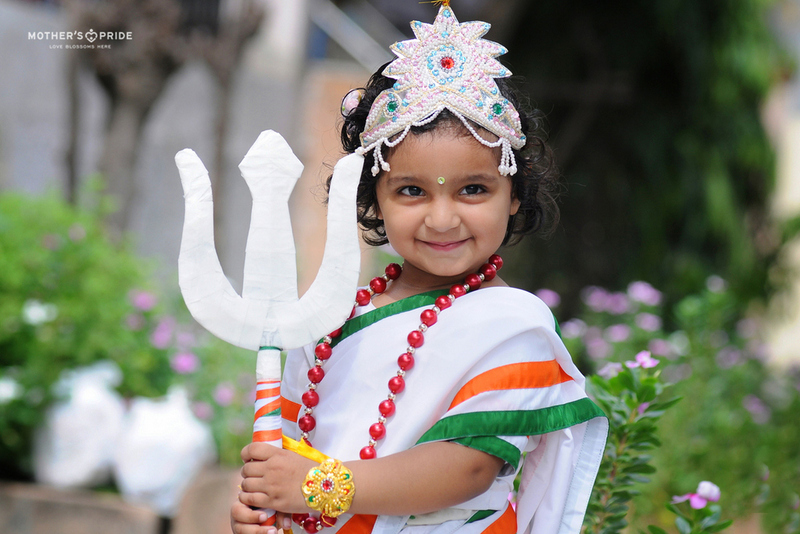 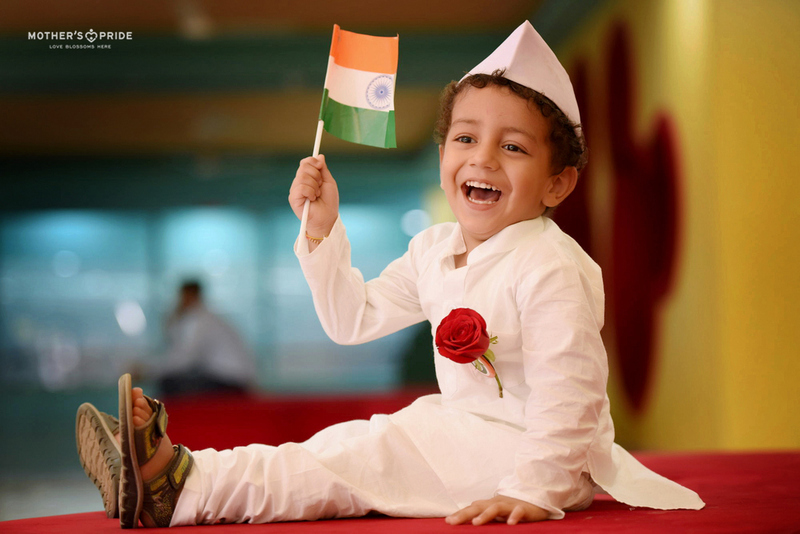 India is a nation where each bud blooms in its true colors and where each day is celebration of unity & harmony. 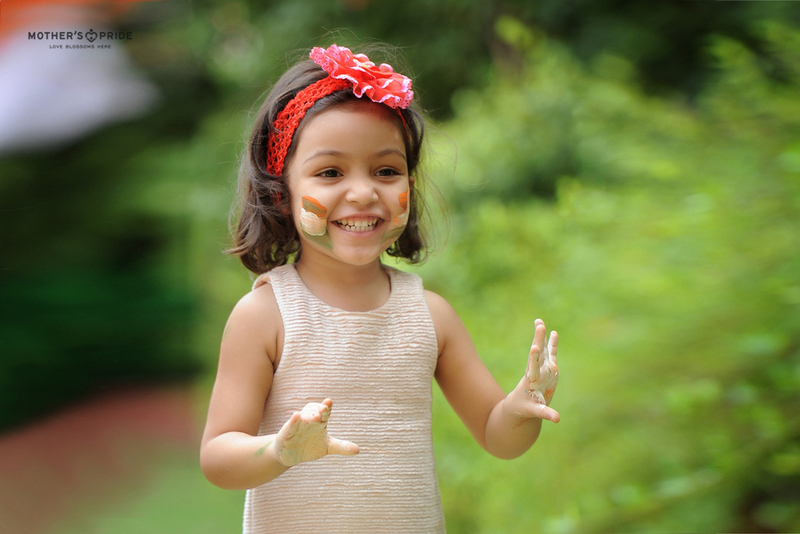 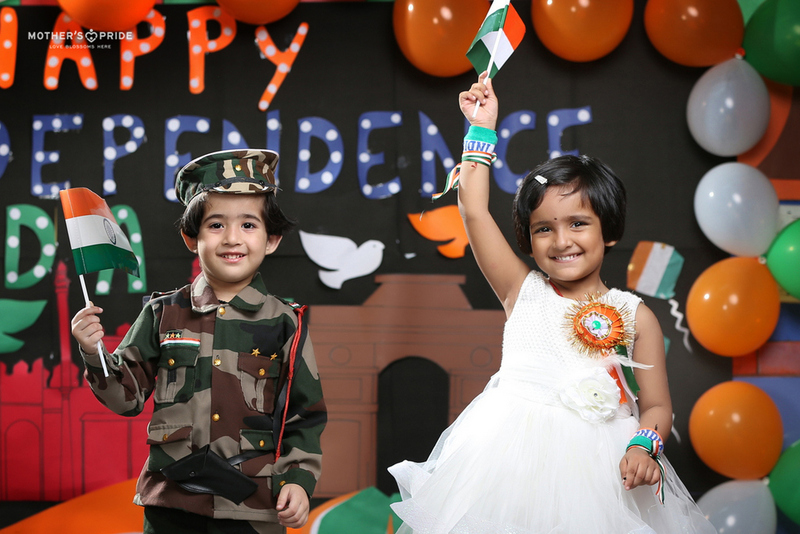 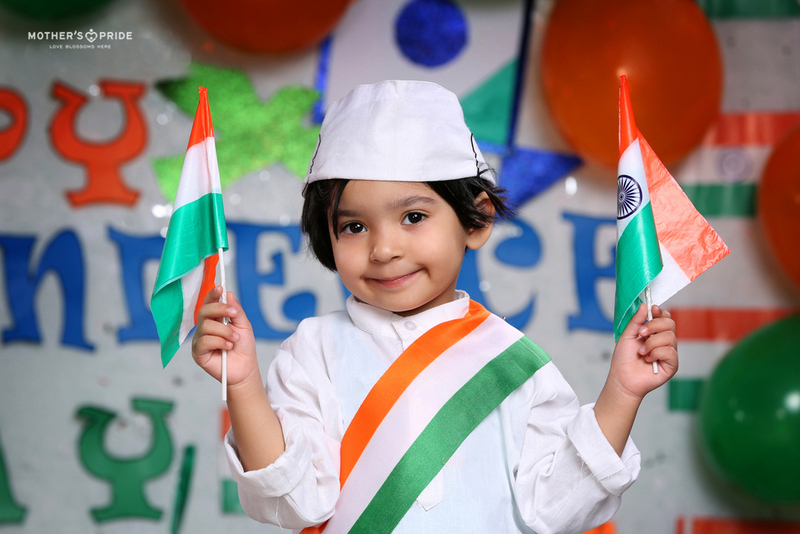 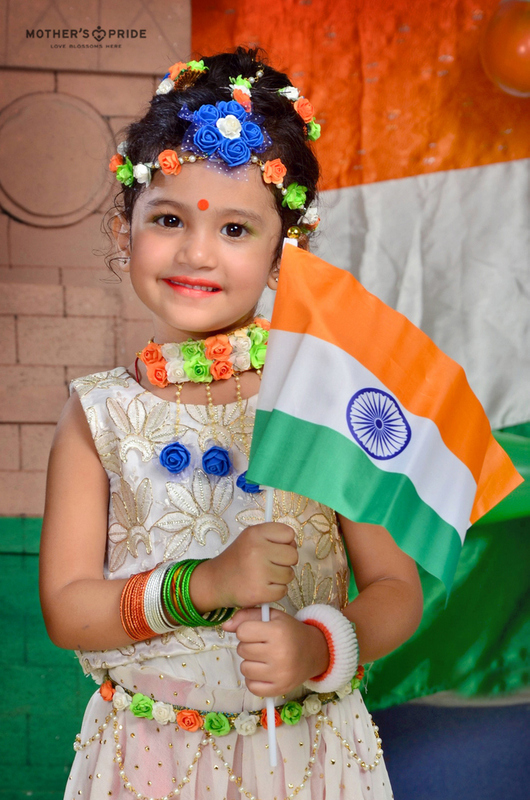 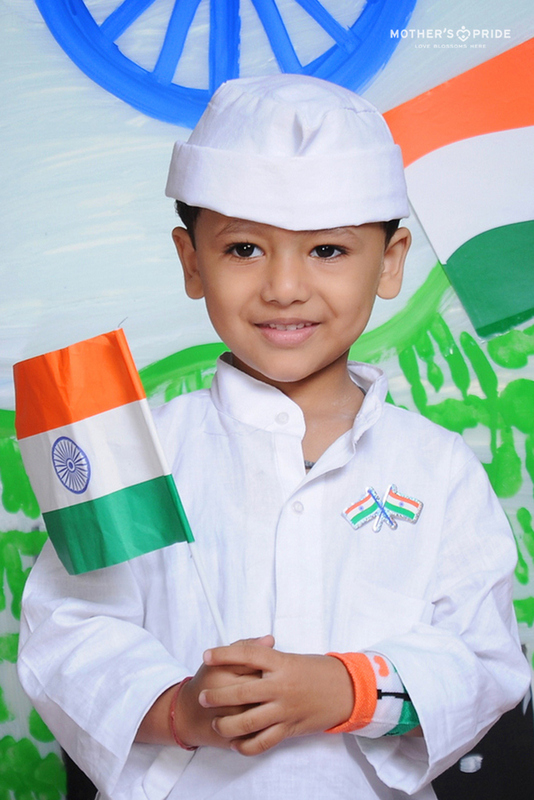 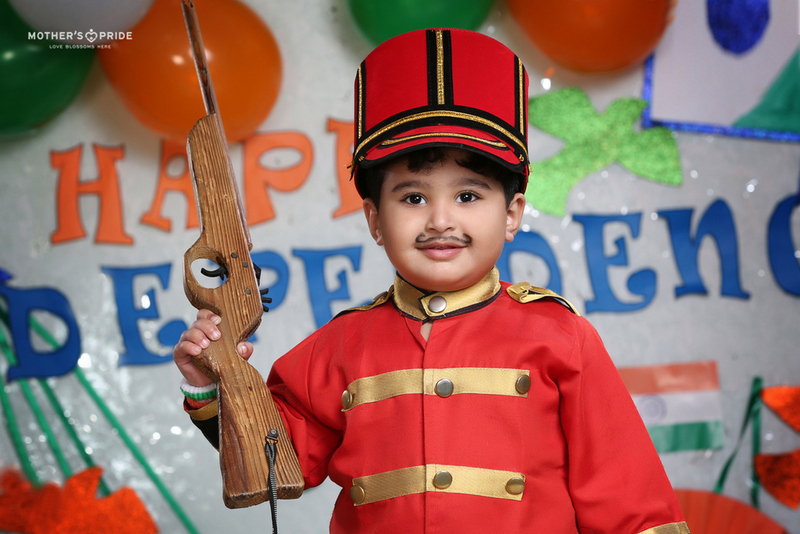 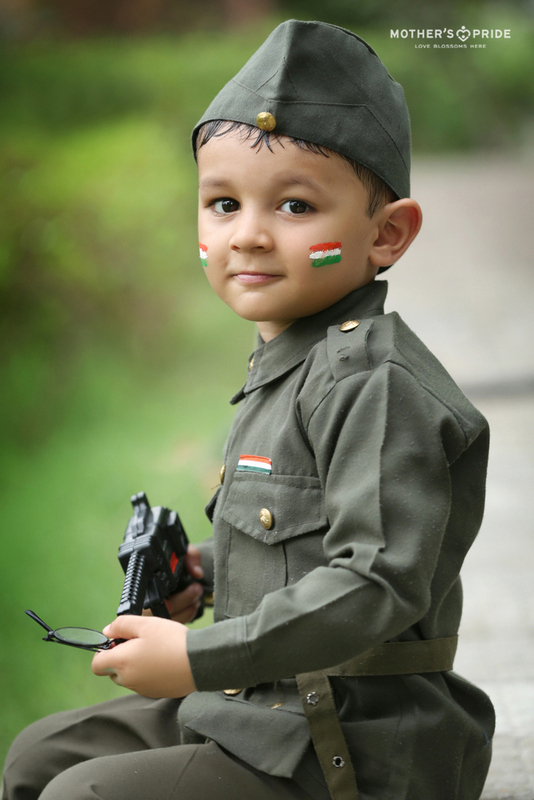 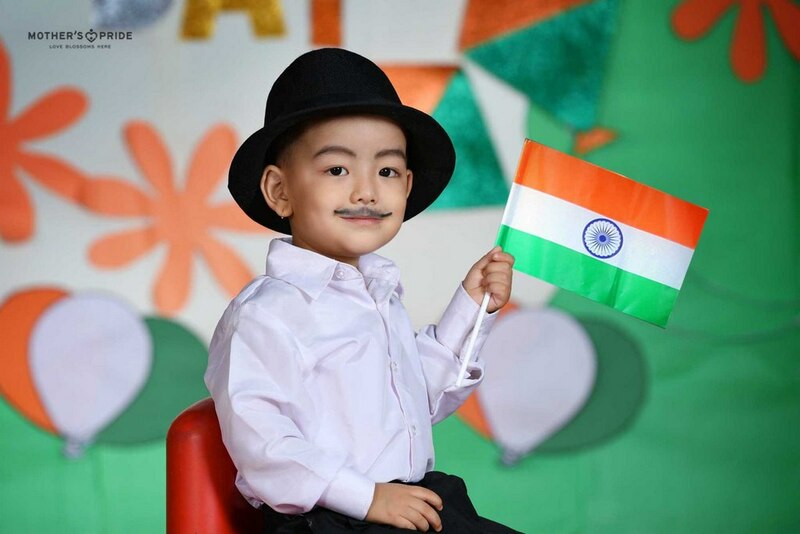 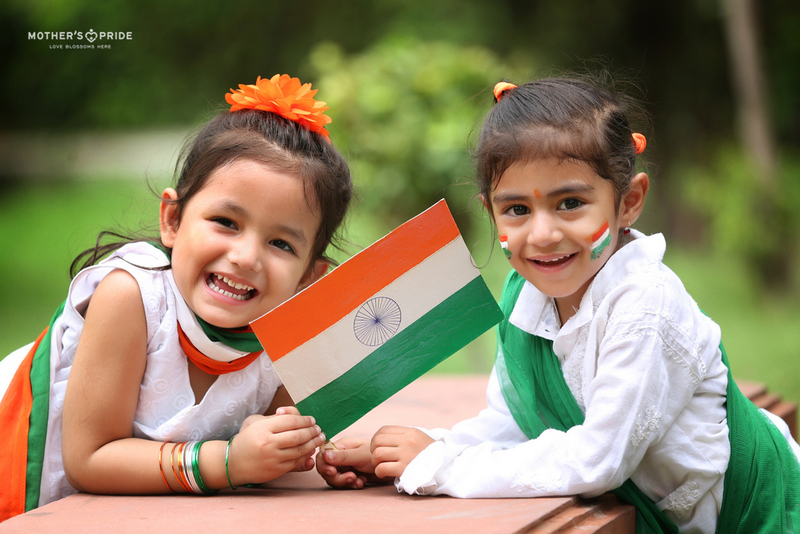 The little nation lovers of Mother’s Pride got together on the occasion of Independence Day to celebrate this glory with zeal and patriotic fervour. 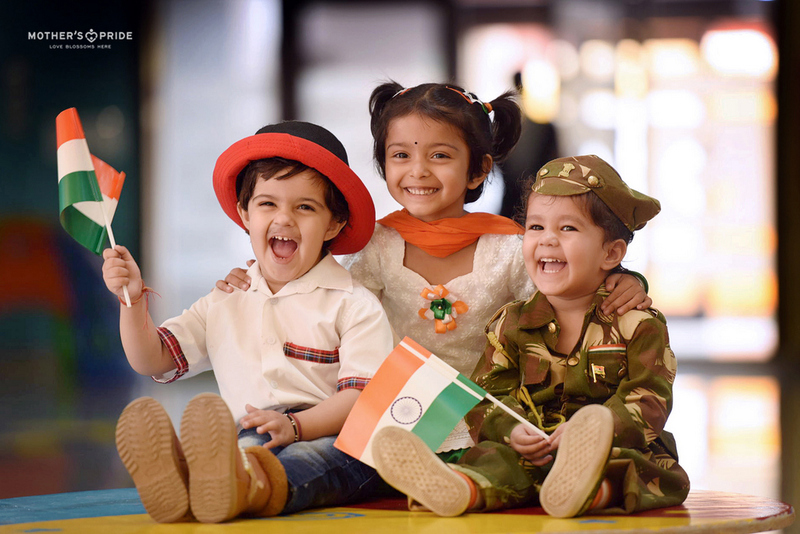 They passionately commemorated the freedom fighters who shaped the liberation struggle and relieved India from the shackles of the British empire. 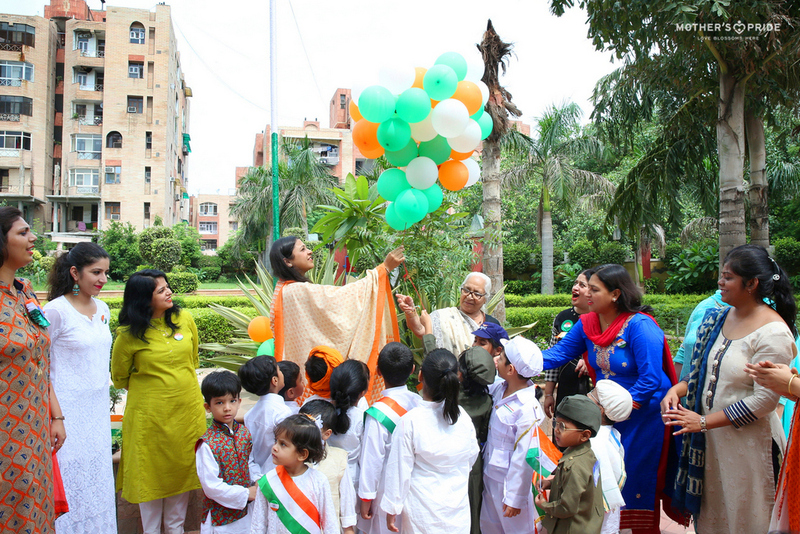 The young patriots were elated to witness the hoisting of the national flag by our dearest Amma Ji, Shrimat Raj Rani Gupta and the beautiful tri coloured decorations in the castle. 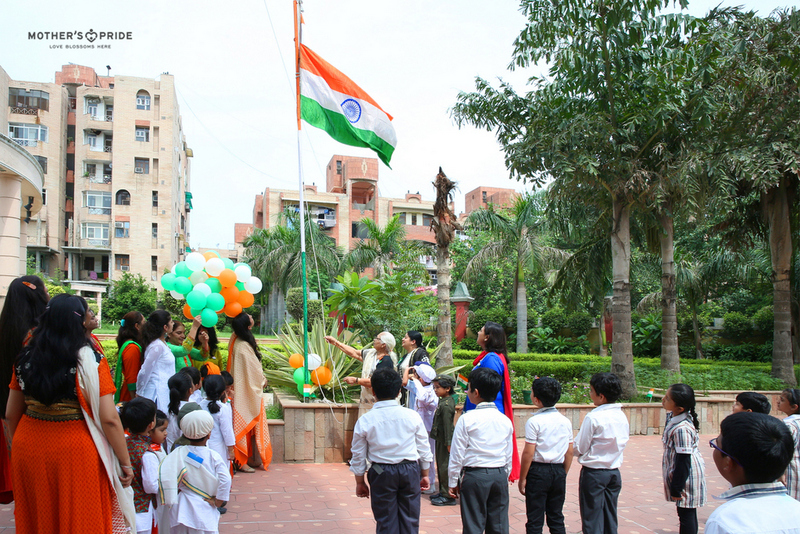 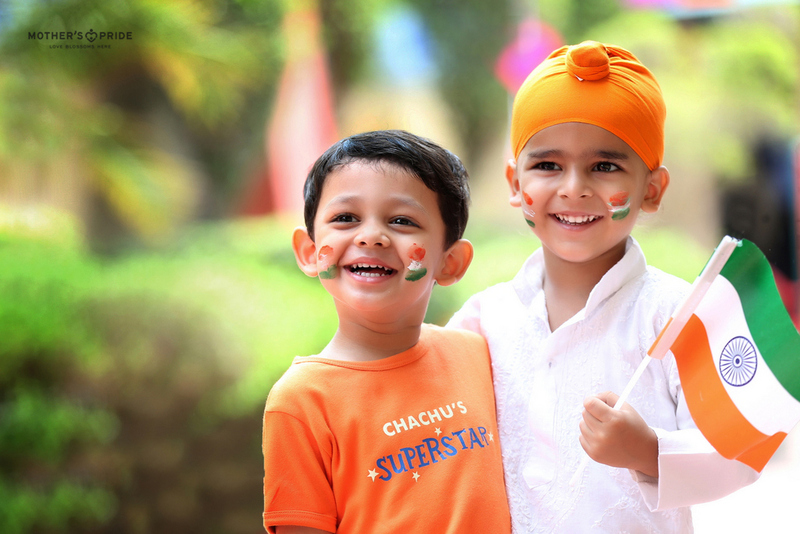 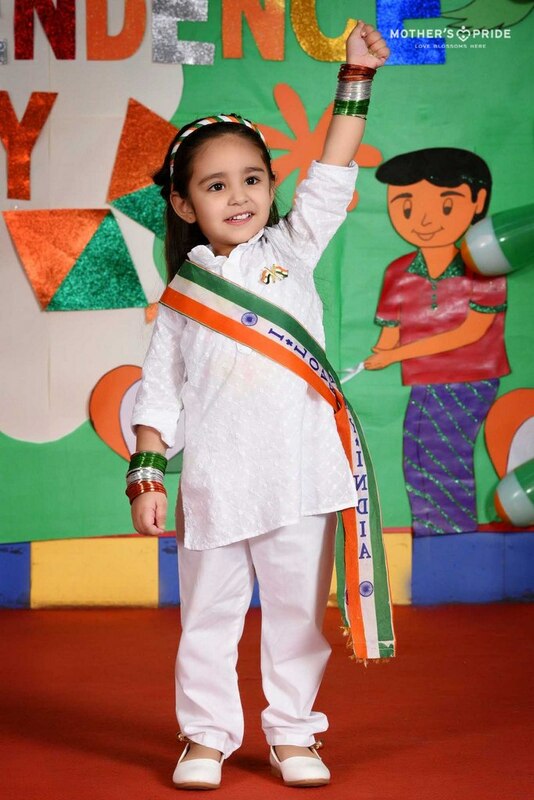 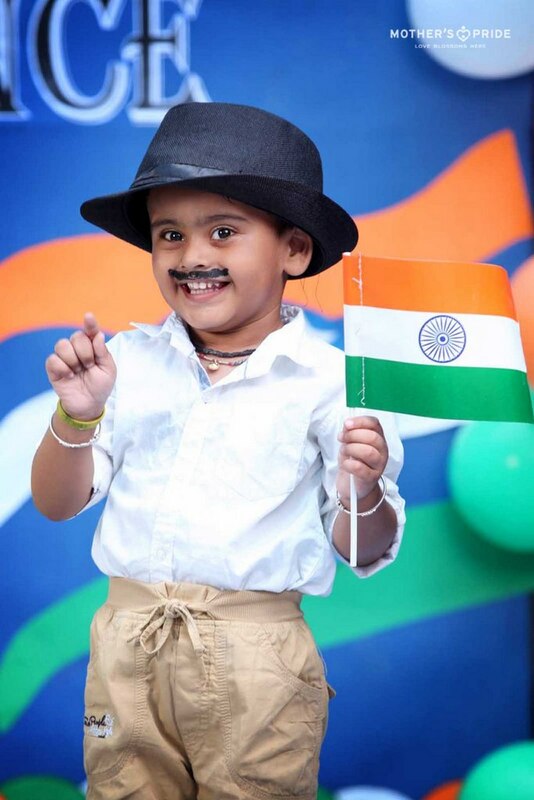 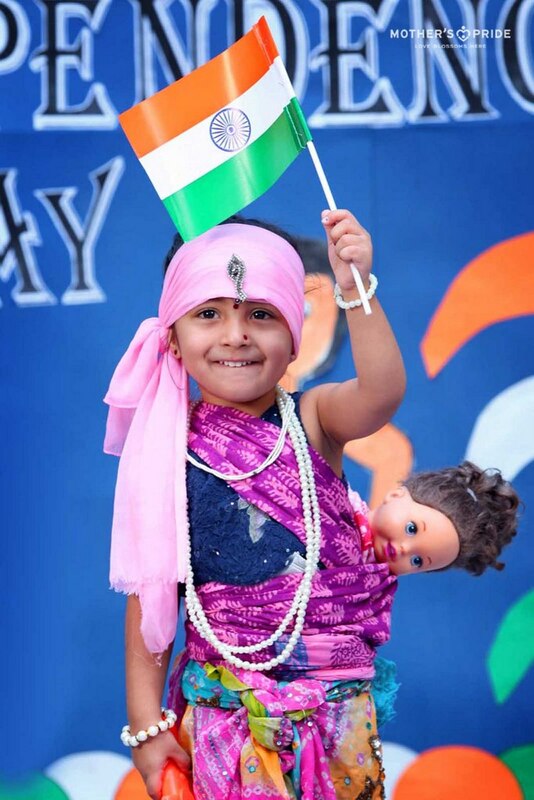 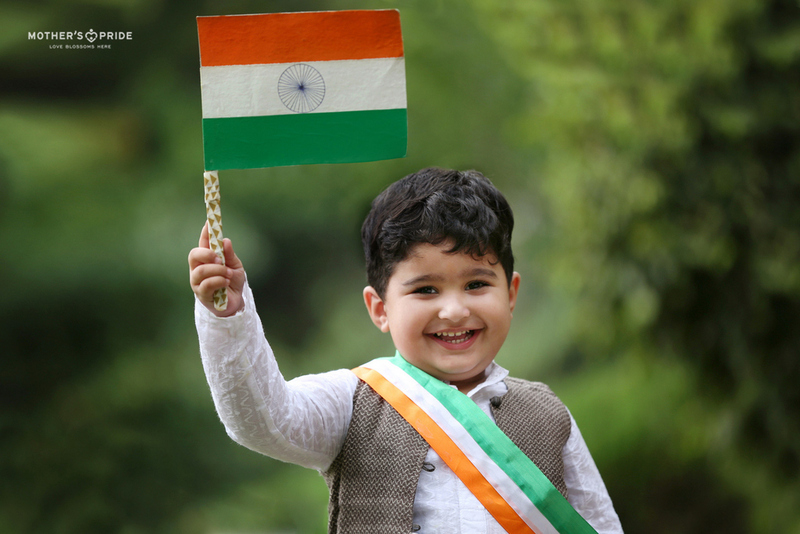 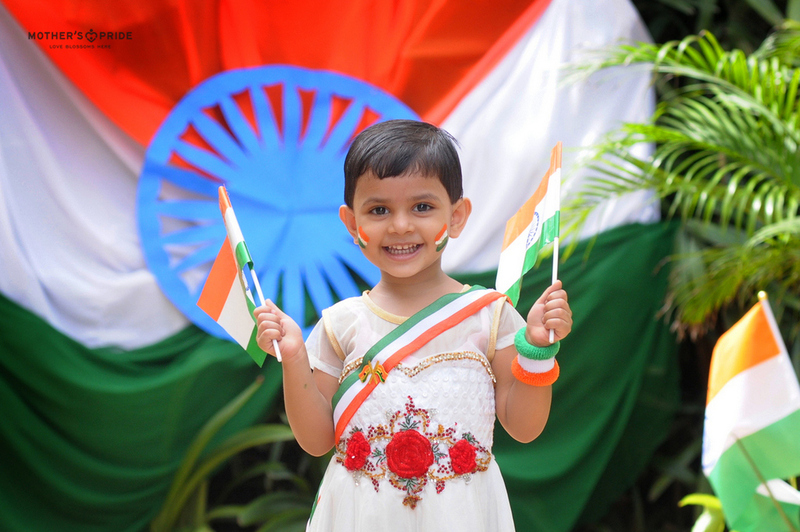 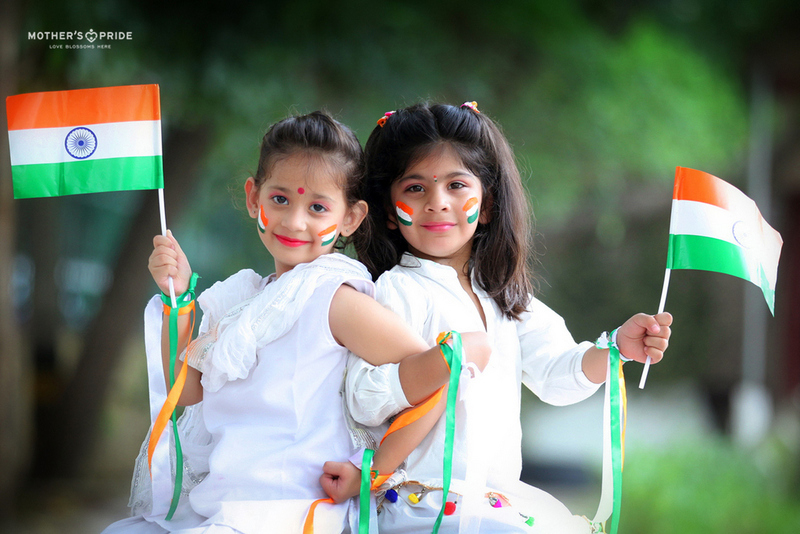 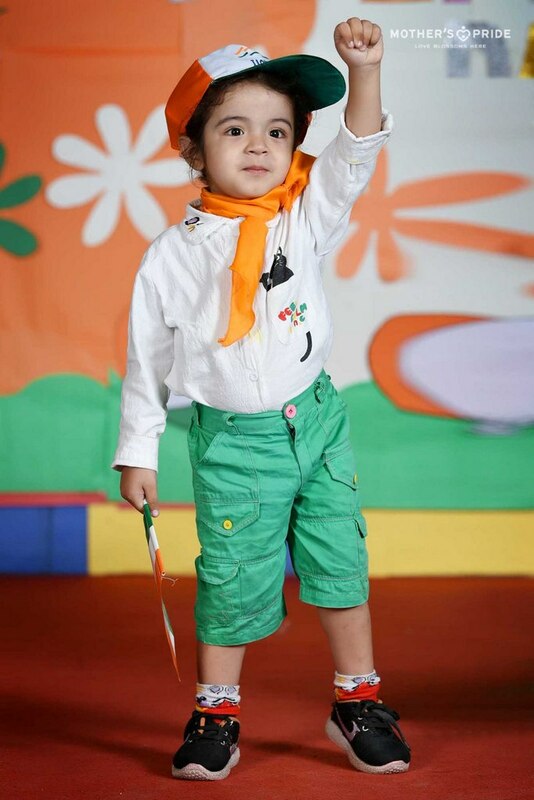 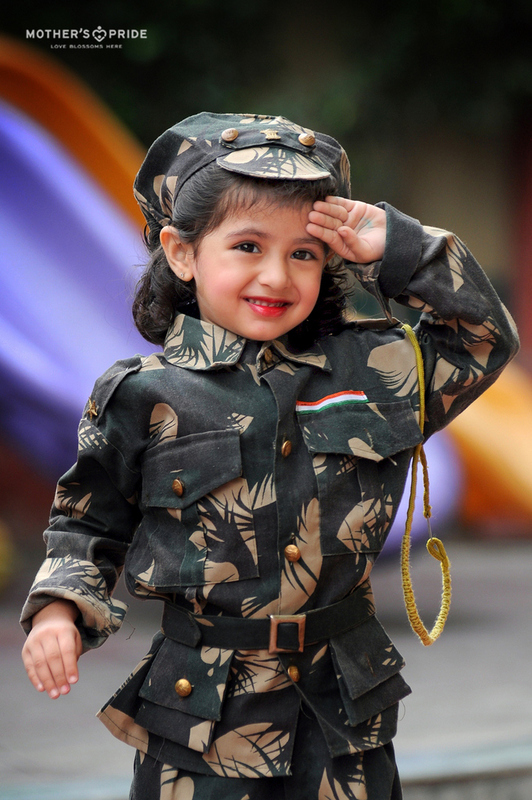 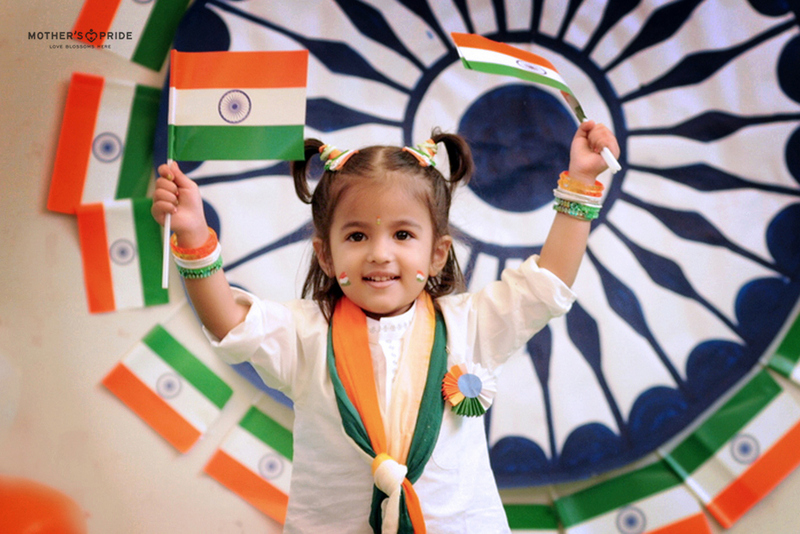 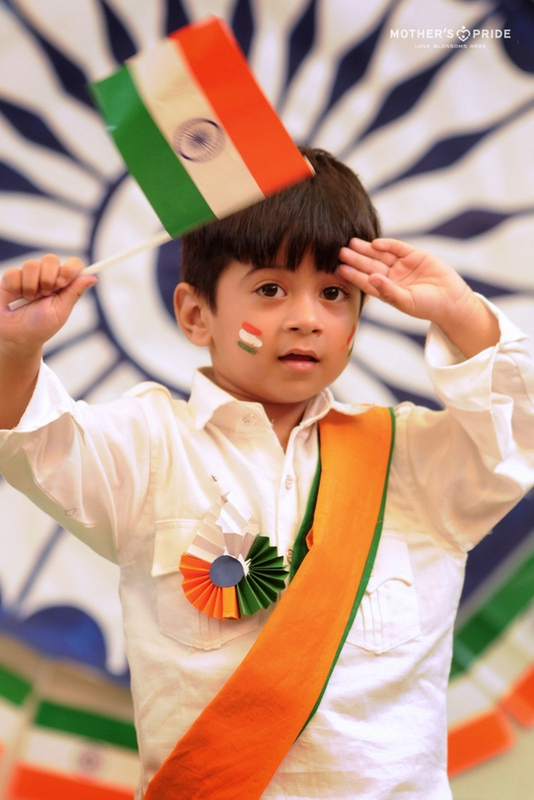 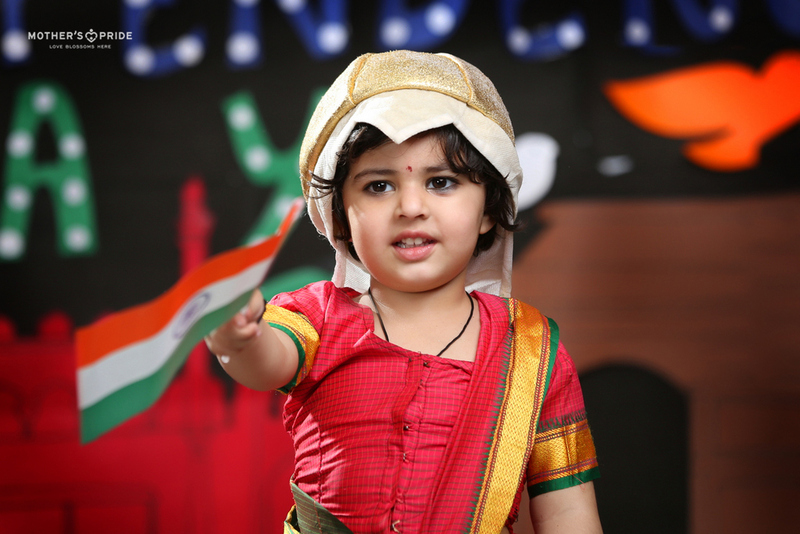 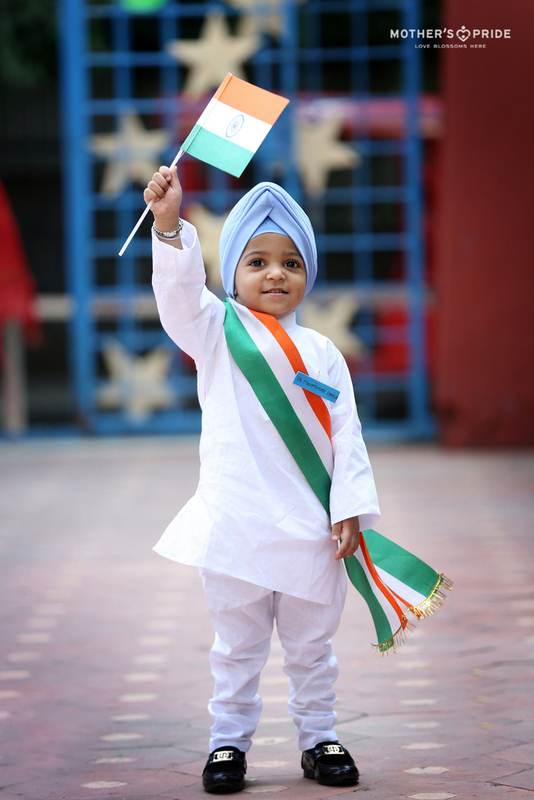 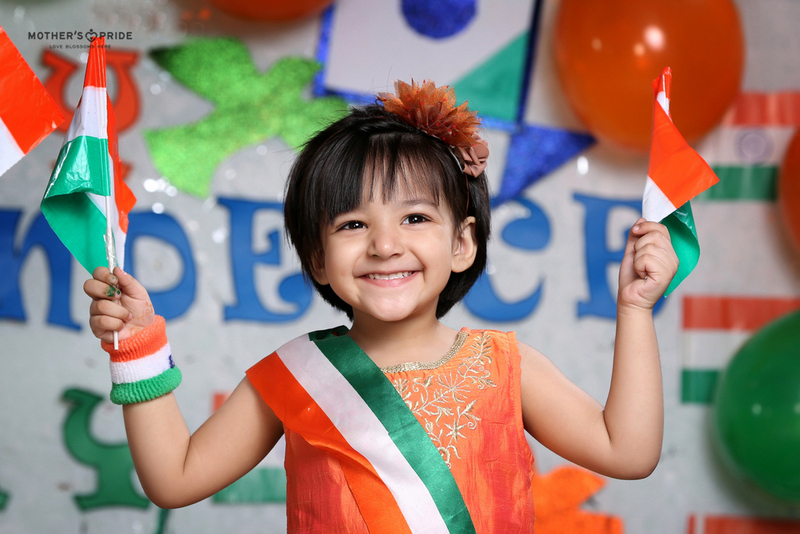 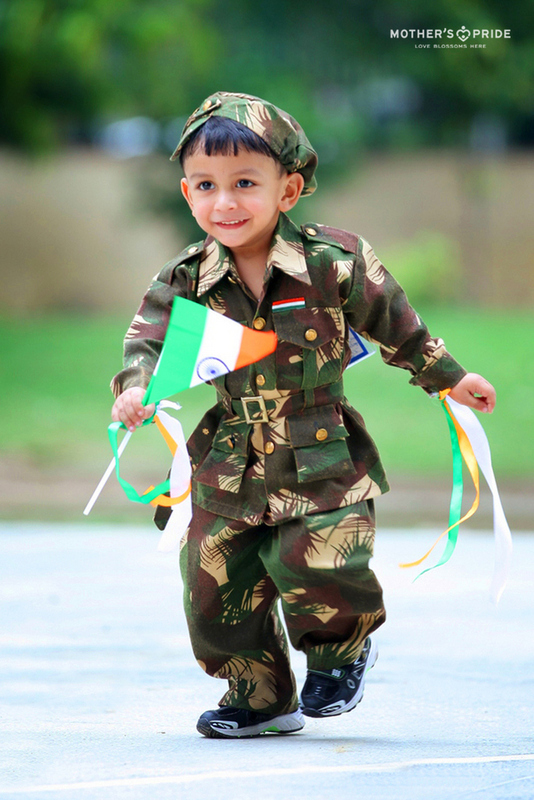 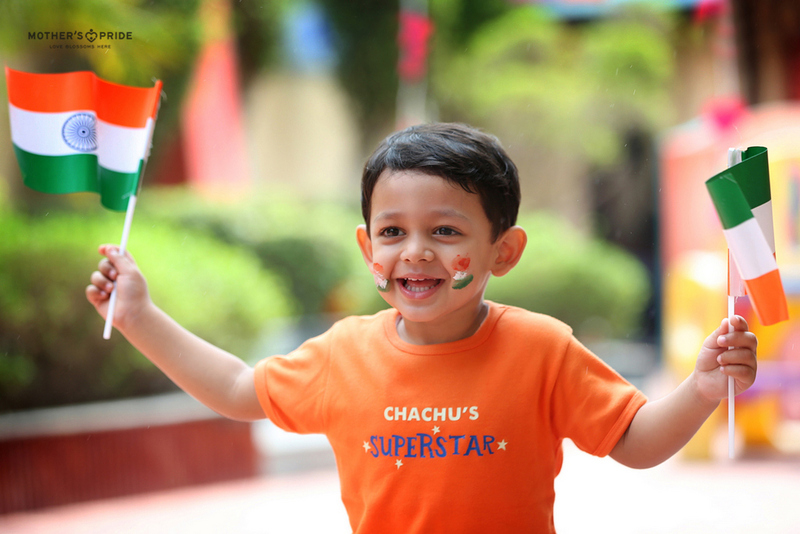 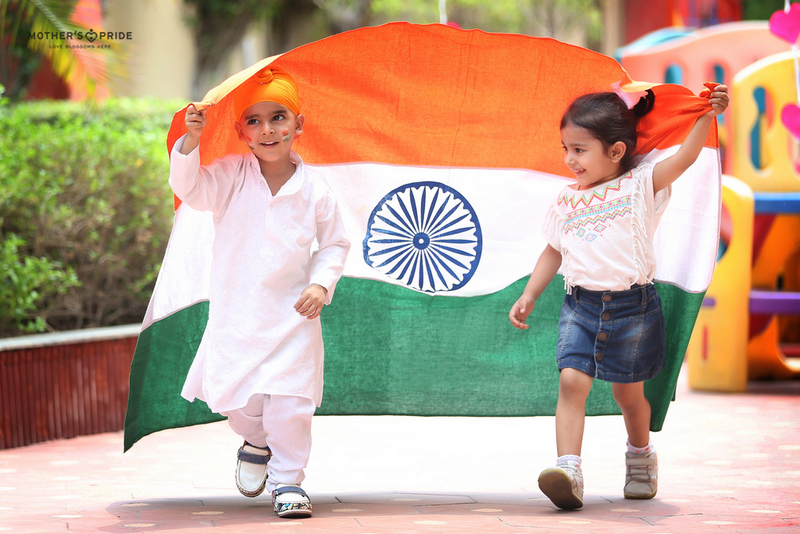 With patriotic songs playing in the background and the cute mumbly voices of the Prideens singing ‘Vande Mataram’, the spirit of the tricolour and patriotic fervour truly blossomed at Mother’s Pride.